British ultrarunner Jez Bragg ran, hiked and kayaked the Te Araroa in 53d9h1m, 12 Dec. 2012 - 2 Feb. 2013. Aussie Richard Bowles did the full Te Araroa in about 65 days, Oct. 13 - Dec. 17, 2012. 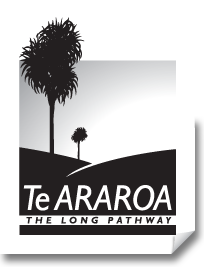 Te Araroa is a 3000 km long route that runs the length of New Zealand. This is a new route that was opened on December 3, 2011. The route to requires some kayaking to complete, including a 120km descent of the Whanganui River, and there are "hazard zones", including some dangerous rivers and the Cook Straight, where trampers are advised to fine another way around (such as by hitch hiking, or taking a ferry across the Straight). "On Monday, Aussie ultramarathoner Richard Bowles stomped a worn-down running shoe in Bluff, New Zealand, completing an epic 1,898 mile one-man race down the length of the islands. 'It’s absolutely stunning; every day is another bit of paradise,' Bowles told Grough in mid November, while he was about half-way through his trek. Bowles set off on the journey on Oct. 13 from Cape Reinga, the northernmost tip of the North Island, pacing himself at just under 29.2 miles per day. On day 65, he hit the end of the line, becoming the first person to ever run the length of Te Araroa, a world-class cross-country trail which opened just last year." About a year later, The North Face sponsored ultrarunner Jez Bragg set a hard-to-beat FKT for Te Araroa of 53d9h1m. He started at the north end of the route on Dec. 12, 2012, and finished on Feb. 2, 2013. His trip was fully supported, utilizing a camper, crew and pacers at times. Bragg did the route entirely self-powered, i.e., using a kayak instead of optional ferry boats, and otherwise on foot. A very detailed daily report is on his blog, and an excellent summary is at irunfar.com. Mina Holder set the women's FKT at 77d10h44m, also using supported style. Her website on the run is here. British Amateur ultra-runner Mina Holder is currently running the Te-Araroa trail. Having completed over 2500km she is on track to achieve her 80 day target time which would be the FKT for a female running and kayaking the whole official distance. This is the women's FKT. She did not use the "all self powered" approach of Jez Bragg, but appears to have taken rides around the "Hazard Zones" and took the ferry across the Cook Straight, as is standard practice. She did kayak the North Island river section. 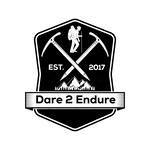 It's interesting that no one (male or female) has yet reported an FKT for the Te Araroa done in thru-hiker (self-supported) style. 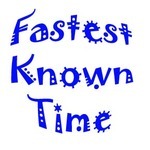 What is the FKT for an unsupported trip? When I looked at the 2 SI river crossings it seemed that people strongly advised against trying to cross the Rakaia on foot, but that the second river might go ok if not right after rain. I thumbed around the Rakaia, but went for it on the other & was able to cross without too much trouble (just took a while to find a viable crossing). I remember the work-around for that river was huge, so crossing was a big time saver. I think you should allow for crossing, if conditions are favorable, and not "require" taking a work-around. Sorry for the misunderstanding on my page. I'll make it more clear. What's stated under each individual section are only what my intended plans are and not what I would think would be "required" of anyone to do. I tried to lay out what I thought would be acceptable above. But I do agree with your assessment and the research I've done the past few days had lead me to the same conclusion. I do think my plan will be to hike around the Rakaia but to cross the Rangitata. I think either crossing our hiking around would both be acceptable in any future supported FKT attempt, to be clear.